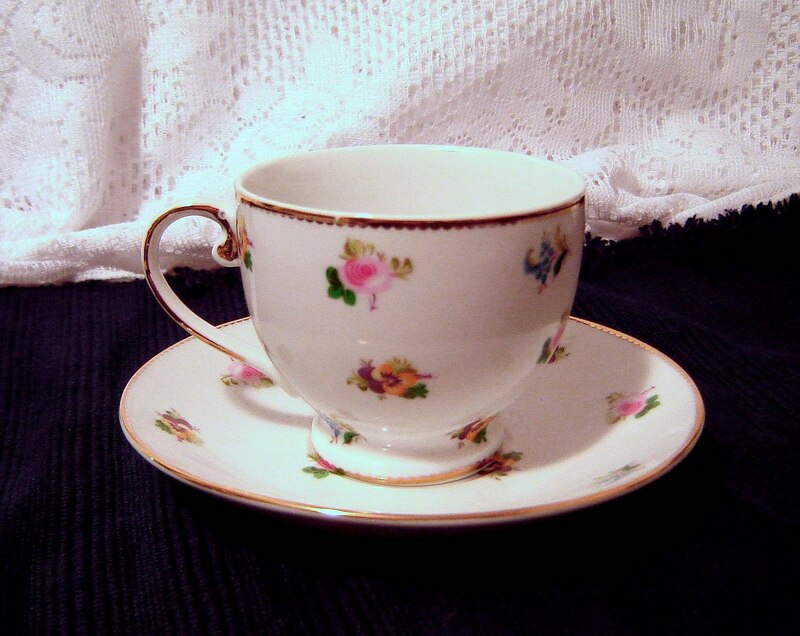 Besides glass beadmaking, singing, reading, and walking the beach, one of my favorite things to do (ok one more ~ drinking a nice hot cup of tea), is to seek out beautiful orphan tea cups and saucers. Ah, here's a fine specimen: Dainty pink flowers (my fav), with gold trim. Love the graceful curve of the handle! tomorrow as I'll shed some light on a new and different repurpose of tea cups. It will turn your views 'upside down' and I promise: You will be both enlightened and delighted! Cynthia how does one make this tea bird feeder? If you would like to tell?